Stock your hotel with custom pens and stationery, we have all the office basics to suit your needs. 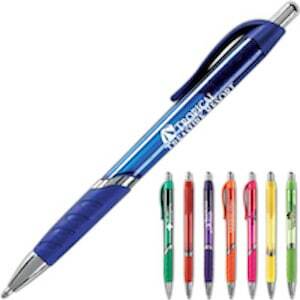 Choose from a wide variety of pens: retractable, stick and metallic. Additionally, we offer hotel stationery: memo pads, letterheads, etc. to make your guests stay more memorable and hotel profitable. Since pens often leave with the guest, Front Desk Supply customizes pens to match your hotel’s brand. Creating a branded takeaway marketing item. 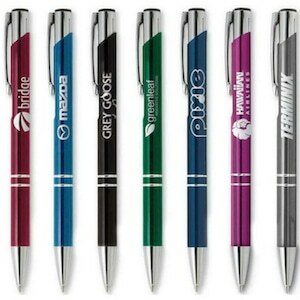 Call Front Desk Supply 888-859-2061 to order custom pens for your hotel today! Every guest uses hotel stationery and pens at one point during their stay. Front Desk Supply focuses on making quality products with a memorable design. Your guests won’t forget where they stayed! 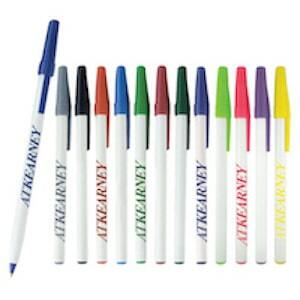 Because we have graphic artists on staff, printing and bindery in house, we are able to produce custom pens and hotel stationery and within budget.